Yong Chun Kim was lucky he had money to burn. 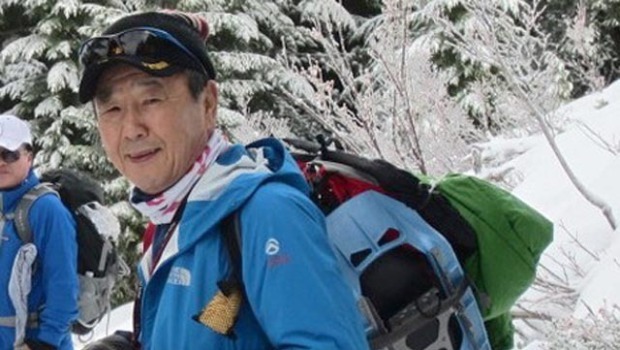 For Kim, a 66-year-old who became lost in a blizzard on Mount Rainier in Washington, burning money became the last resort to keeping him warm as he waited for more than two days to be rescued. Kim is an experienced outdoorsman. 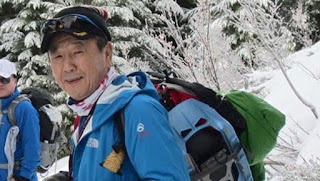 He snowshoes Mount Rainier nearly every week, and was leading 16 members of a hiking and climbing club on a snowshoeing outing Saturday when he slid down a slope and became separated from the group, according to The Associated Press, King 5 News and CBS News. He radioed the group twice, telling them he was OK and that he'd meet them farther down the trail. When the snowshoeing group reached the parking lot, Kim wasn't there. Nor could the group reach Kim on the radio. The snowshoers last communicated at 2:30 p.m. Saturday. Park officials were called, and a search and rescue was launched. Kim had become disoriented in the whiteout conditions and slid a second time, losing his walkie-talkie, a glove and ski pole. [Kim of Tacoma] said he carried a lighter and other emergency supplies and burned personal items: extra socks, Band-Aid, toothbrush, packaging, and lastly $1 and $5 bills from his wallet. Kim, who served in the South Korean military in the Vietnam War, told KOMO-TV in Seattle that skills he learned as a soldier helped him survive. He said he wasn't scared. He kept waiting for the sounds of the helicopter — though severe weather conditions prevented park officials from using one to search for Kim. "I'm a lucky man, a really lucky man," he said in an interview Tuesday afternoon from his home. With temperatures in the teens and winds whipping on the mountain, Kim said he kept walking and moving to stay warm. He took cover in several tree wells — depressions in snow that forms around a tree — and slept standing for 5 to 10 minutes at a time. He initially made a shelter near a big rock and tried to stay warm. He tried to keep walking, but at times "the snow was so deep, I couldn't breathe." Kim dreamed of his wife and a nice hot sauna. He talked to himself. He took pictures. He prayed to God. He worried his family and friends would worry about him. He made a fire, drank hot water and ate rice, some Korean food and a chocolate bar. Money made for the best fire, he said, laughing. Nylon socks and packaging, not so great. Kim told KOMO-TV of Seattle that he first burned leaves, then his extra socks and then the two bills from his wallet -- a $1 bill and a $5 bill. "I don't care. I have money at home," he laughed, recalling to King5.com the decision to burn money. "I had to make it home!" Kim found refuge beneath a tree, sat and waited. Without the aid of a helicopter, rescuers resorted to a Sno-Cat to reach the search area, and searchers set out on snowshoes to find Kim. By Sunday night, Kim's family had nearly lost all hope, though Kim remained positive and warm by marching in place and singing "Amazing Grace" in his native Korean. Finally, on Monday afternoon, after more than 50 hours in a blizzard, Kim was found by search crews, but it took nine hours traversing rugged terrain to find a road off the mountain. Kim was in such good shape, he didn’t even need to be taken to a hospital. He happily returned to his family, vowing to return Mount Rainier.